Oh so cute! I love your little treat boxes and cards! How perfect that the girl is in her spa robe all ready for the body lotion!! So adorable ! Love this little girl ! What a fun treat bag and card. I could see these as bridal favors for a spa day, or for a girl's birthday party. So cute and so versatile! I absolutely love these, Sherrie!! So creative to use the tags to make the box!! The spa girls are adorable!! You colored each one so beautifully!! What wonderful gifts these are!! The papers are fabulous, too!! 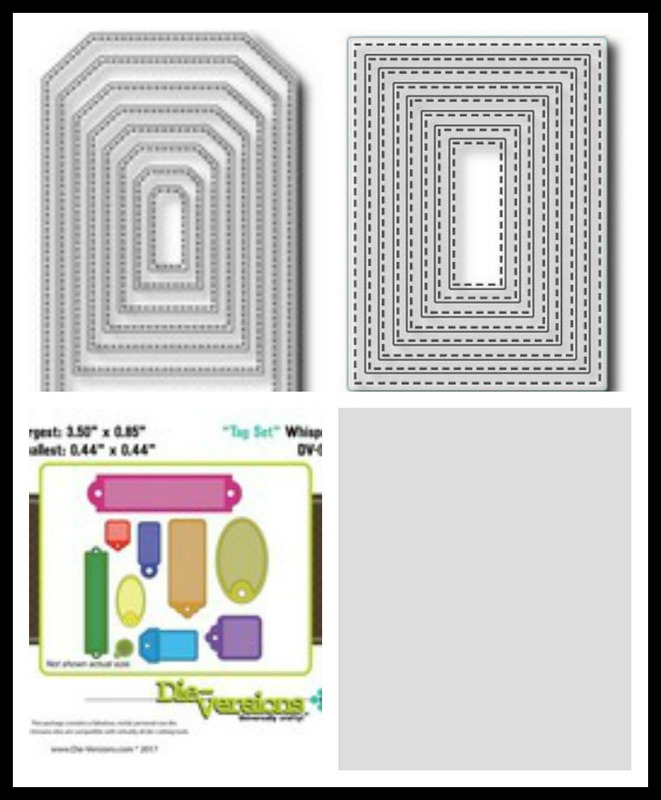 Thank you so much for playing along at DL.ART!! 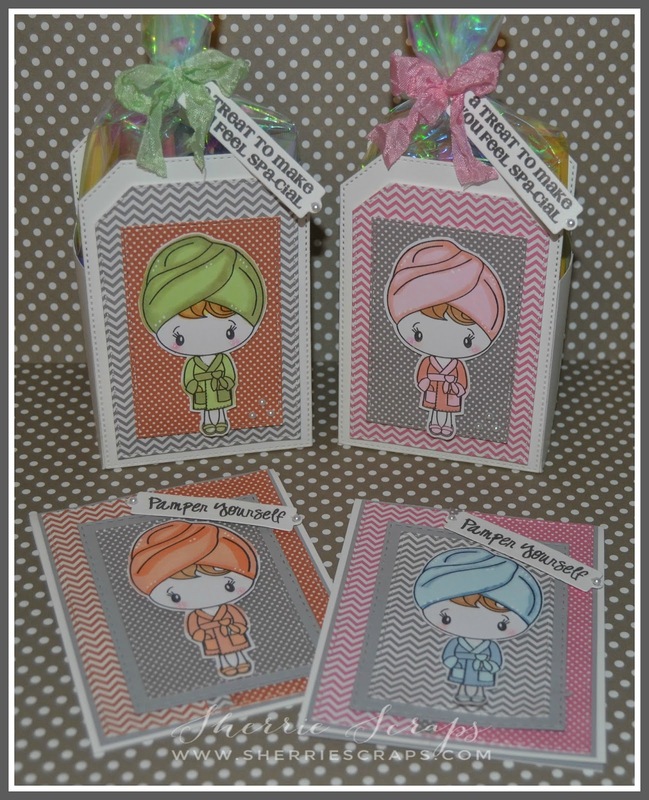 These gift boxes and cards are adorable, Sherrie! These are going to make someone's day very special, indeed! What a thoughtful gift idea! Sending hugs your way! These are so adorable!! I love the sweet little spa girls and the pretty gift boxes!! Have a great day. Super duper cuteness! Your project is so awesome, I can't believe you used the tags to make your box, what a clever idea! Those spa girls are so sweet too! Awesome project! Sherrie , these are the cutest !!! Such ADORABLE gift set!! The image is just darling! 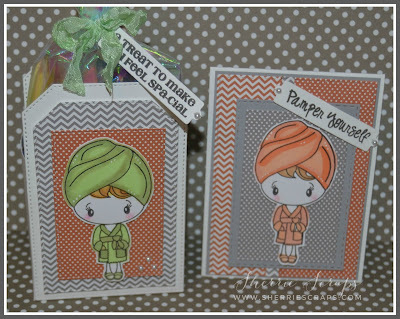 !Awesome coloring.I love the sweet cards & yummy treat boxes. Super cute projects Sherrie! Those little characters are adorable! You brought them to life! Sherrie these are super cute!!! Love that image of that little young lady in a robe.. all ready for her spacial spa day! :) Cute punny sentiment too!!! 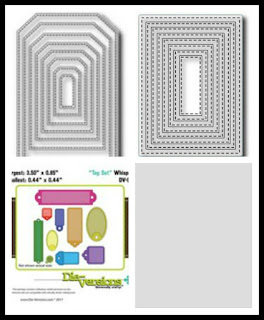 Love the papers and the colors and thank you so much for linking up to our FFC!! 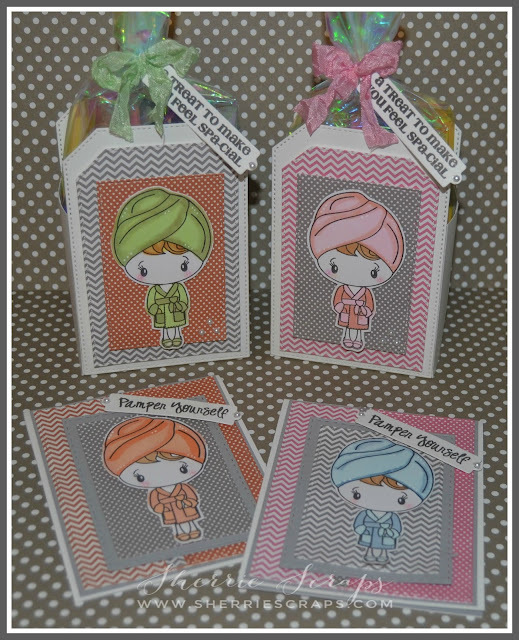 You make such adorable gift sets, Sherrie! Love these for a girls' night out or girlfriend gift! 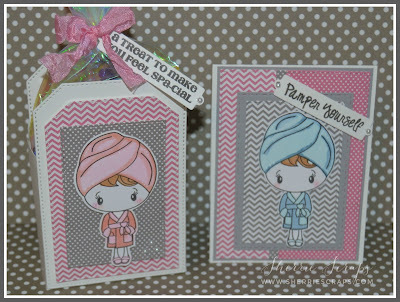 Super creative treat box with the tags, and loving your spa girls! What adorable treat boxes and cards! Love the color combinations!